When the time comes don't nerf anakin just bring heros to his level. Nerfies will ask a nerf just like Aztec gods demand sacrifices. I'd agree, but we know they're allergic to buffing Luke, Obi wan, kylo and Vader, so no, bring anakin to their level. Well they shouldn't necessarily just be straight up as powerful as Anakin, but be as powerful as him in their own niche. Anakin's niche is offense, so Obi-Wan, for instance, should be as powerful in defense as Anakin is in offense. Obi-Wan he is supposed to be the master of defense but blocking doesn't work well in this game, mainly because things like explosive sentry and grenades force you to retreat and deflections typically don't do enough damage to reliably get kills. When blocking, Obi-Wan should have 90% damage-reduction from explosives so that his block can be a lot more useful and he can be that immovable wall that he's supposed to be with his impenetrable defense. His critical deflection Star Card also needs to apply to all deflections, not just ones from forward. This means that when maxed out his deflections would do an extra 40 damage. His base deflections could also do just slightly more damage. Speaking of forward, there's no point in it deflecting everything with 100% accuracy if you can't even aim your crosshair, right now it only moves on the x-axis with your movement controls. So to buff forward they should allow you to aim the crosshair like you normally can so that it's more useful rather than speeding it up imo. His push needs to be made more useful, either it needs to be faster and slightly longer by default or it needs to apply some damage reduction with how vulnerable it makes you. Right now it's too situational. The glitch that causes it to go off early also needs to be fixed. These changes would make Obi-Wan truly the master of defense by making his block much more useful and much better at killing enemies. 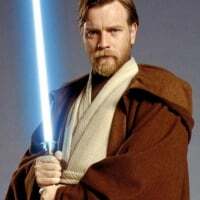 The majority of Obi-Wan's playstyle would now be based around defense and deflection rather than primarily using dodges and attacks and rarely using his block as you see in any decent Obi-Wan killstreak. 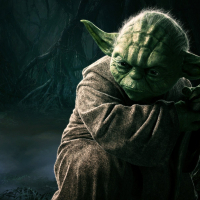 Yoda is fine the way he is, the only thing he needs is a block. 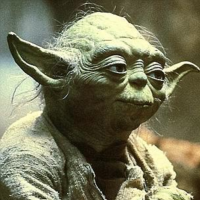 That’s it really, this is coming from a Yoda main in HvV. 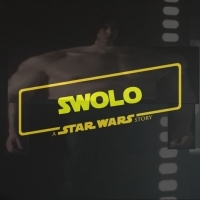 Do you really think he's fine after seeing Anakin? Really? Fine the way he is?? He gets hit once & it's over. 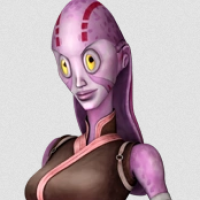 He was one of the best viable hero’s due his saber dash- dodge combo, but because of the saber tracking and stun that came in Dooku patch now he is trash. If they put saber combat as it was before dooku patch he will be fine again. yoda & darth mall both CAN be played without block, but this doesn't mean, this is good gameplay(obviously for most people is is not!). also there are lot of situations, especially in HvsV, where they NEED a block! this is such a stupid thing.. image holding a lightsaber in your hands, and thinking: "i use this ONLY to kill others, but not to DEFEND my self"..?? this makes no sense - yes, they should get a block.. maybe let their block drain more stamina, so those characters not become OP. 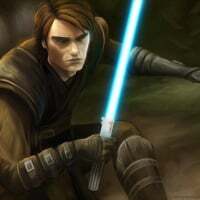 for anakin.. usually i am very much against nervs, because things often got nerved too much.. but i have the feeling, that devs (also from other games) like to release new things a bit op, just to get nerved in the next update. maybe this should increase popularity of a new item/character etc..
Because he has no block. 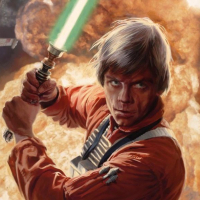 All of the Vanilla Saber Heroes need core saber damage buffs, maybe not up to Anakin's level, but closer to Obi-Wan and Grievous (non Sith Training). ~130 which means that with the 20 additional damage from a rear strike can one hit kill normal infantry from the back. Rey: Lightsaber strike up from 110 to 130. Kick up from 100 to 130. 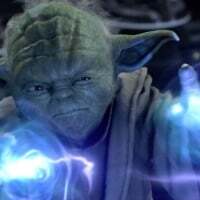 Yoda: Lightsaber strike up from 115 to 130. Dash already deals an unblockable 130 so it's fine. Very slight improvements to saber strike range and speed. Luke: Lightsaber strike up from 100 to 120. Kick up from 90 to 120. Rear strike damage bonus up from 20 to 30 (allowing a 150 rear strike one hit kill and promoting the fast, flanker playstyle that DICE intends.) Dash up from 100 to 120. Force Push and Repulse deal a bit more to Heroes (up from 90 and 75 to 100 and 90). Vader: Lightsaber strike up from 120 to 130, Focused Rage strikes up from 135 to 140. Kylo: Lightsaber strike up from 100 to 130. Frenzy up from 80 to 90 damage per hit. Pull up from 10 to 20 (allows for a one hit lightsaber kill on pulled infantry from the front). Maul: Lightsaber strike up from 100 to 120, Rear strike damage bonus up from 20 to 30. Spin attack up from 100 to 120. Choke Hold up from 77 to 100. Obi-Wan: Kick up from 120 to 130. I don't think it's going to be case of Anakin being too powerful, i think it's gonna be a case of Anakin is the standard at which heroes should be at and that he's going to shine because no other hero will be like him with the exception being Palpatine and probably Bossk. Even then, Palpy and Bossk are extremely squishy. If they go crazy buffing heroes, either infantry needs to be buffed to compensate or the number available needs to be cut down. Yeah i can agree to that. Having 3-4 Anakin's running around on the battlefield probably isn't going to be too much fun as a trooper. Cutting that down and no more crappy Heroes Unleashed events would be nice if heroes would be that strong. Heroes unleashed would be fine if they would run it in a separate rotation.